This season, statement jewels should be your focus. They possess the power to add a focal point to any ensemble. Amrapali’s ‘The Dark Maharaja’ collection is perfect to win the style battle. 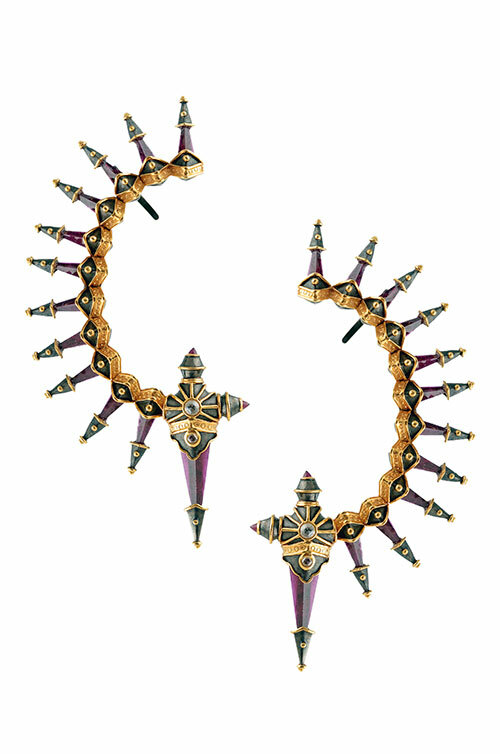 The warrior weaponry and armour-inspired jewellery are encrusted with silver, rubies, gold, and diamonds, adding a luxe factor to the traditional styles.